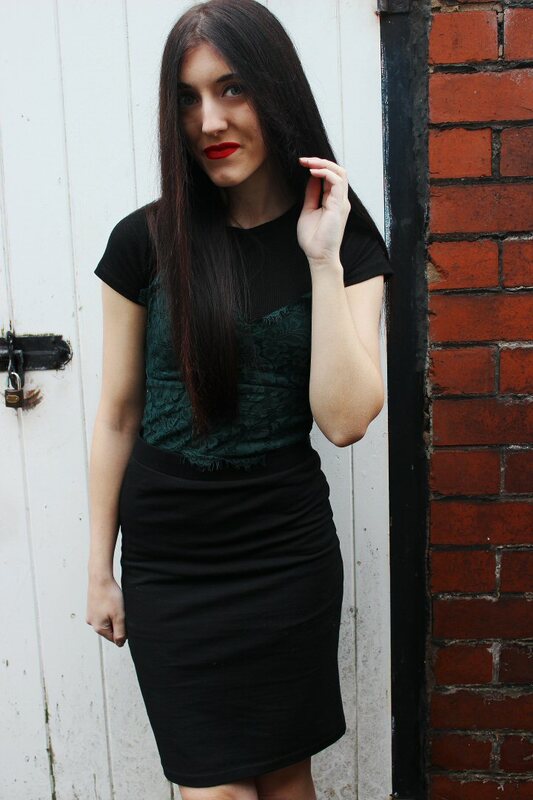 For the first time in a long time I dressed quite casually for Christmas Day. It definitely felt like a different kind of Christmas this year so I'm not sure whether that sub-consciously had an affect on my OOTD. It was my first Christmas run up spent in my flat and my first Christmas day without my sister. I've also had some family issues recently that meant we've not been as upbeat and Christmassy as we'd normally be - but nonetheless I've had a great Christmas. 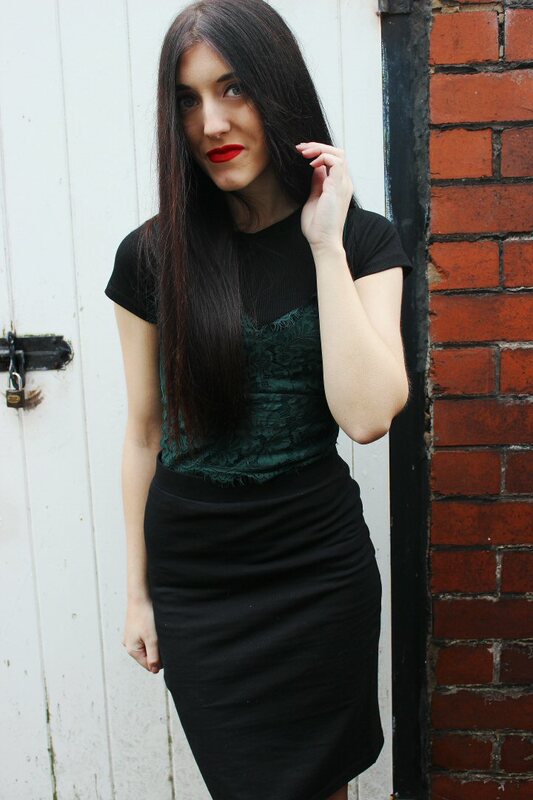 I decided to recycle my much loved Topshop slip dress for the big day - layering over a simple black tee and throwing on my Forever 21 pencil skirt to make it more daytime appropriate. I can't stress enough how much I've loved the Topshop lace slip dresses this year - great fit, pretty and go with a hell of a lot. Speaking of Forever 21, I'm loving their stock at the moment - some of my (only) sale bargains have been from there - I have to say I've been disappointed with the 2014 sales so far - great for the bank balance though! I'm going to give Manchester a go and then Liverpool before I give up however!